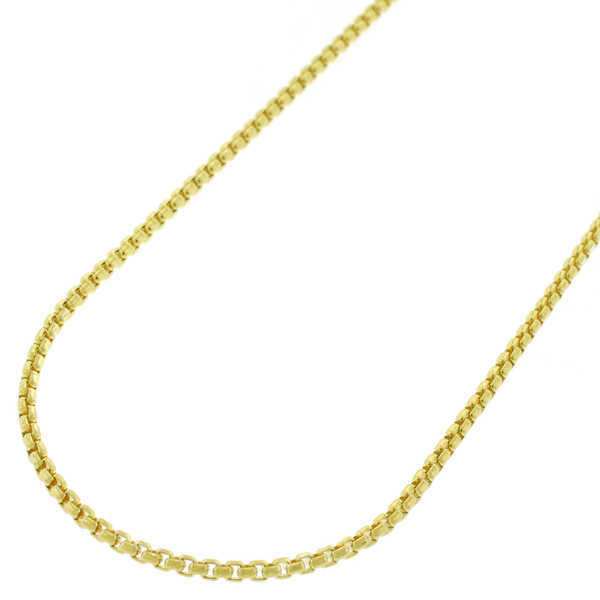 Supple and bright, this charming necklace chain is beautifully crafted from 14-karat yellow gold. The thin, rich looking chain features a sophisticated, round box construction that lends refinement to any style. Perfect for supporting your favorite pendant or charm, this lovely chain comes in a variety of lengths to suit your needs. All measurements are approximate and may vary slightly from the listed dimensions.All measurements are approximate and may vary slightly from the listed dimensions.